A Stage IIIB-compliant engine, all-new dashboard design and a ground-up focus on site safety features are some of the characteristics of the latest MDX cabbed site dumper range from Mecalac. 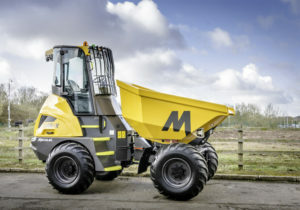 Available in both six and nine-tonne payloads, each model pairs aesthetics with operator functionality. Both models adopt a 3.4L, 55kw Perkins 854 IIIB-compliant engine, generating 424Nm of torque. 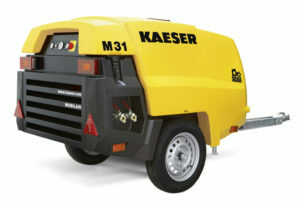 Thanks to their compact size and manageability, Kaeser’s energy-efficient and environmentally-friendly Mobilair portable compressors come into their own on construction sites where space is at a premium. The machines aim to supply the compressed air needed to power a variety of equipment reliably and cost-effectively. The compressors feature flow rates between 1 and 3 m³/min and maximum working pressures between 7 and 14 bar. 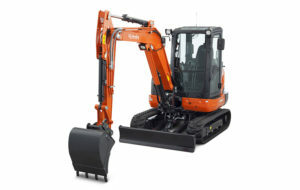 Adding value to the service it provides, Kubota UK is introducing flexible finance packages on two of its recently launched mini-excavators – the eco-friendly KX042-4 and the zero-tail swing U36-4. The KX042-4 is, according to the brand, the most environmentally friendly excavator in the four-tonne weight category, thanks to the incorporation of a DPF and the ECO Plus Mode, reducing fuel consumption.